Jimmy and Marilyn Lile were guests of President Ronald Reagan on October 18, 1990 in his Century City, CA penthouse. 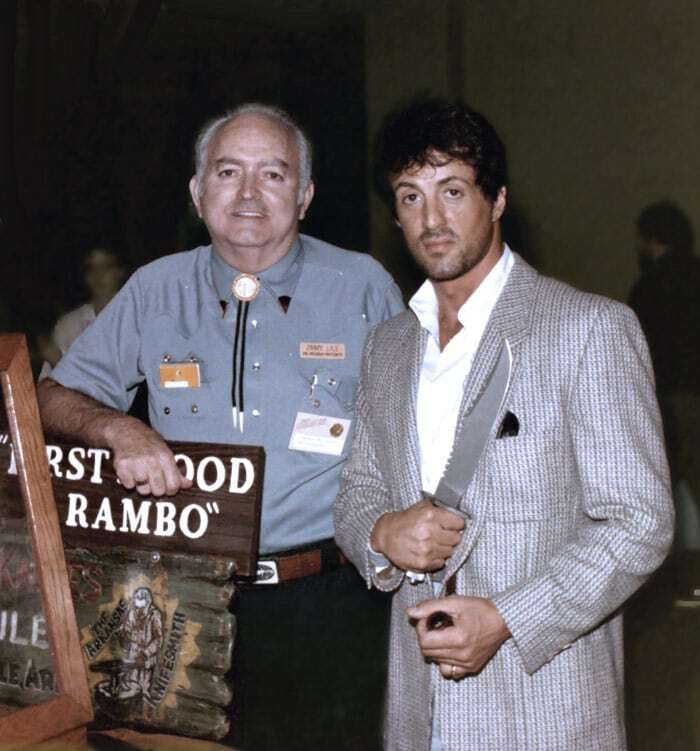 Jimmy presented President Reagan an ivory Lile Lock folding hunter. 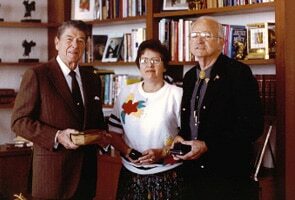 President Reagan reciprocated by presenting Jimmy and Marilyn with a large silver seal of the 40th President of the United States and individually giving Jimmy a pair of cuff links with his presidential seal and Marilyn a stick pin with his seal. 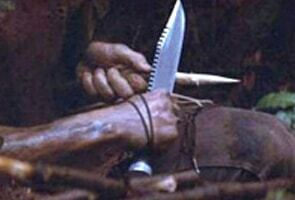 Movie Still from Rambo First Blood where Jimmy Lile’s knife is being used. Left to Right: Ed Wormser, Thad Buchanan & John Hill. Buchanan, an up and coming knifemaker, holds one of his custom fighters that Hill now owns. First Blood Blades and Guards from the Lile Shop. 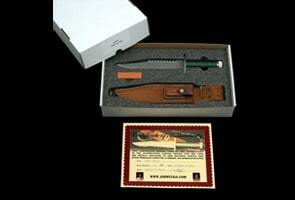 Jimmy Lile Certificate of Authenticity.